Until recently, I did not know Fenugreek seeds were one of the main ingredients in Indian spiced curry. My experience with Fenugreek was that it is brown sticky mass that smelled like maple. I knew Fenugreek not as a seed or a plant, but as a botanical extract. Extracts are concentrated natural products obtained by solvent extraction (i.e. ethyl alcohol or hexane extraction). The aroma and taste components that are extracted by the solvent are further concentrated by evaporating the solvent residue. Once the solvent is removed, a botanical extract is made by mixing the remnants with glycerine, caramel color and corn syrup. A flavor chemist can use either roasted or unroasted Fenugreek. Fenugreek extract is the perfect raw material for formulating maple flavors with and it could also be useful in coffee, caramel, toffee, butterscotch, beef and nut flavors. The characteristic odor of Fenugreek Extract is celery like, balsamic, burnt brown sugar and it is intense and almost sickening strong. So strong that the city of Manhattan complained to the environmental health department about the smell coming from a company in New Jersey processing Fenugreek Extract. http://www.nytimes.com/2009/02/06/nyregion/06smell.html?_r=0 So strong that when we used it in the lab, my boss’s spouse would complain about her husband’s maple smell and make him shower and wash his clothing immediately upon arriving home. It is the tiny amount of 4,5 Dimethyl 3-hydroxy-2(5H) furanone aka Sotolon in the Fenugreek that overwhelms us with maple. Leffingwell indicates that the aroma detection thresh hold for this chemical is 0.8 parts per billion(ppb). http://www.leffingwell.com/burnt.htm This is a small amount, even for a flavor chemist who talks in terms of parts per million(ppm). 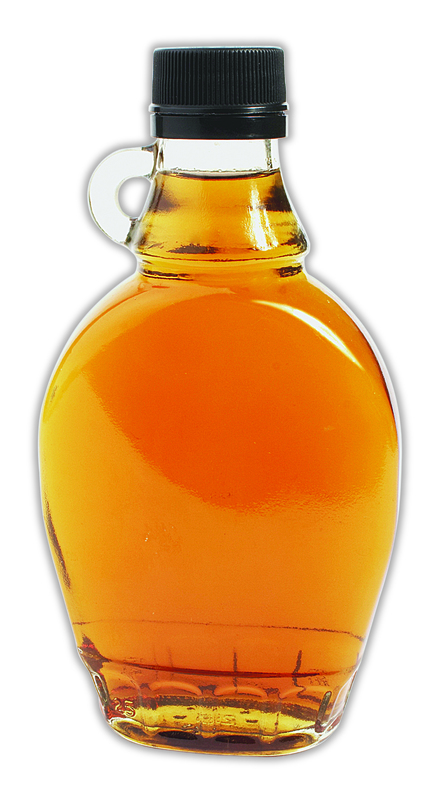 Fenugreek extract isn’t essential for maple flavors, but it is extremely useful in making good maple flavors. Other items that I would use include diacetyl, cyclotene, vanillin and anethole. As with any flavor, though,it’s up to the flavor chemist’s imagination.